Not sure if you should apply for TSA Precheck or Global Entry? To help you decide which one is best for you, below is a description of both the TSA Precheck and the Global Entry programs, the differences between them and other deciding factors. TSA Precheck vs. Global Entry: Which One is Right For You? TSA Precheck allows you to go through airport security more quickly, If you have TSA Precheck you don’t have to remove your shoes, belt, light outerwear, laptop and bag with liquids. There is often a separate TSA Precheck line, which is usually shorter and faster than regular lines. The TSA always incorporates random security measures so TSA Precheck is not guaranteed on every flight. You will know if you are eligible for TSA Pre✓ as it will be printed on your boarding pass near your name. TSA Precheck is only available when flying on certain airlines – the current list of airlines can be found on the TSA’s website. TSA Precheck does not include Global Entry benefits. Global Entry allows travelers to enter the United States more quickly. Instead of waiting in a long line to see a border control agent, you answer a few questions at a kiosk, scan your fingerprints, show your receipt to an agent and exit the passport control area. Although TSA Precheck is completely different than Global Entry, one of the benefits of obtaining Global Entry is being able to qualify for TSA Pre-Check on domestic and international flights. In addition to having TSA Precheck, Global Entry allows expedited processing through CBP (U.S. Customs and Border Protection) at airports and land borders upon arrival to the United States. Does Global Entry include TSA Precheck? Yes, if you sign up for Global Entry you have TSA Precheck benefits. However, if you apply for TSA Precheck only you do NOT have Global Entry. 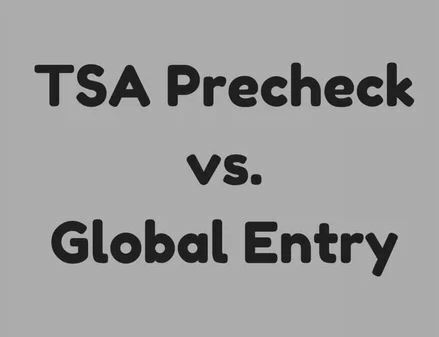 Following are some differences between Global Entry versus TSA Precheck to help you decide which program is right for you. The fee to apply for TSA Precheck is $85 and the fee to apply for Global Entry is $100. Since Global Entry includes TSA Precheck you will be paying an extra $15 for expedited entry into the US at immigration and border control. TSA Precheck program membership is open to U.S. citizens, U.S. nationals and lawful permanent residents only. Here is a link to the current TSA Precheck eligibility requirements. You do not need a passport to apply for TSA Precheck. This link will tell you which documents you need to apply for TSA Precheck. U.S. citizens, U.S. lawful permanent residents and citizens of a few other countries (citizens of Argentina, Colombia, India, United Kingdom, Germany, Panama, Singapore, South Korea, Switzerland, Taiwan and Mexican nationals) are eligible for Global Entry membership. Here is a link to the current Global Entry eligibility requirements. You will need to bring your valid passport(s) and one other form of identification, such as a driver’s license or ID card to the Global Entry interview. If you are a lawful permanent resident, you must present your permanent resident card. TSA Precheck applicants have the option to pre-enroll online to provide initial biographic information and make an appointment before visiting an enrollment center. Walk-in enrollments are accepted at most TSA Precheck enrollment locations, but the TSA recommends you schedule an appointment. If you apply for Global Entry, you must complete an online application first and then visit a Global Entry enrollment center for an interview. Some Global Entry enrollment centers do not have interview appointments for months, but you might be able to find last minute openings due to cancellations if you keep checking. CBP recently created a new option to get your Global Entry interview done faster: Global Entry Enrollment on Arrival which allows conditionally-approved Global Entry applicants to complete their interview while clearing CBP processing. Global Entry Enrollment on Arrival is only available at select airports right now but will expand to more airports. 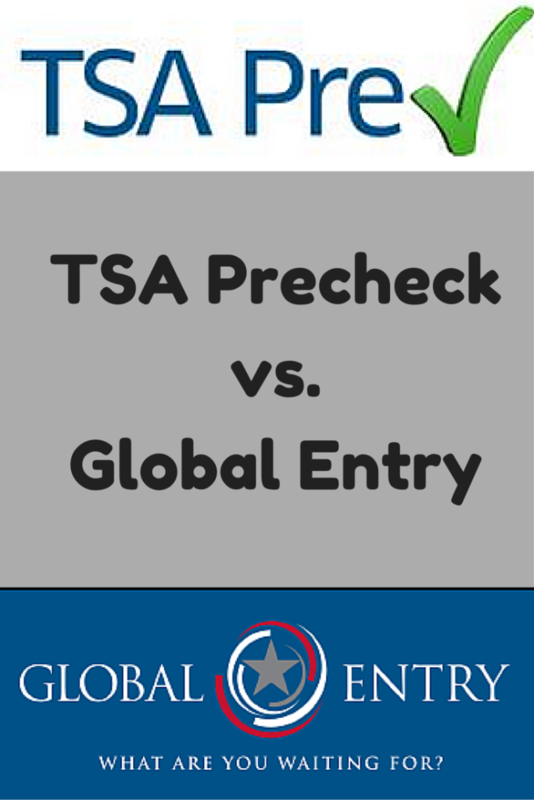 The list of enrollment centers is different for TSA Precheck vs Global Entry. Global Entry enrollment centers are mostly located in major airports. Some states do not have a Global Entry enrollment center and some states only have one enrollment center. There are many more TSA Precheck enrollment centers throughout the United States and many of them are conveniently located in city centers and residential areas. We recommend consulting the list of enrollment centers for the specific program you are interested in before applying to ensure an enrollment center is easily accessible to you. Here are links to the TSA Precheck enrollment center finder and a link to the list of Global Entry enrollment centers. You can also check the first available interview for Global Entry from this link. If you have decided to apply for Global Entry versus TSA Precheck, consider if either NEXUS or SENTRI are an even better choice for you. Global Entry and TSA Precheck benefits are also part of NEXUS and SENTRI, two other trusted traveler programs similar to Global Entry. NEXUS is the Canadian version of Global Entry and includes TSA Precheck benefits and Global Entry, in addition to expedited processing upon entry to Canada. The application fee for NEXUS ($50) is lower than the application fee for TSA Pre-Check or Global Entry. SENTRI is the most expensive trusted traveller program but could be better for anyone who frequently drives between the US and Mexico. To compare all 4 trusted traveler programs see related post: How to Get TSA PreCheck: A Guide on How Best to Apply. While NEXUS and SENTRI are useful to some, for the majority of Americans the decision will come down to Global Entry vs TSA Precheck. TSA Precheck is the only option for US citizens who do not have a passport (which is required for Global Entry). US citizens and lawful permanent residents who primarily fly within the US but do not travel internationally might also find it cheaper and easier to apply just for TSA Precheck. Another option if you fly internationally is to apply for TSA Precheck only is and download the free Mobile Passport App which speeds you through U.S. Customs and Border Protection at 1 cruise port and 26 airports. According to online reviews, using the Mobile Passport App is just as quick or even quicker than Global Entry. For anyone who plans to travel internationally in the next five (5) years, it might be worth it apply for Global Entry rather than TSA Precheck. The application fee for Global Entry is only $15 more than the fee for TSA Precheck alone. We both have Global Entry and we recommend Global Entry for anyone that travels internationally even once a year. For more information on how to apply for Global Entry see Guide to Global Entry: Application and Interview Process. Global Entry For Children: What Are the Rules? Why is this an either/or issue. One gets you through security on the way out Whether domestic or international and one gets you back in through customs quicker from an international destination. They are completely different programs and serves different purposes. It’s a debatable issue. The question that is answered here is, besides being $15 cheaper, why would one choose TSA Precheck over Global Entry. That;s not quite right. TSAPC gives you access to expedited security lines. GE, for an extra $15 every 5 years, gets you fast skip-the-lines kiosk entry thru Customs, PLUS ALL benefit of TSAPC.They are not completely different programs, as GE *INCLUDES* TSAPC, plus the customs advantages when flying internationally. Is it possible to be denied for Global Entry but approved for TSA Precheck? You neglected 1 benefit of TSA-Pre over Global Entry…your children under 12 years can go through the TSA-Pre line with you but cannot with GE. This is the only reason I went with TSA-Pre for now. You are correct that your children under 12 do not get Global Entry for free (expedited customs and immigration) but Global Entry also includes TSA Pre so your children could use the TSA Precheck lines with you for free if you have Global Entry. However, if you only travel with your family internationally, then it might not make sense for you to pay an extra $15 to get Global Entry if you cannot use it because you have to accompany your kids in the regular immigration line. Can you confirm that you have used the Global Entry as an adult to get your child through TSA Precheck lines? I was debating between the two. I saw that Global Entry included TSA Precheck, but was unsure if the child benefit only carried over if you applied for TSA Precheck. Hi Sam, there is no difference between Global Entry and TSA Precheck when it comes to TSA Precheck benefits. As long as you get TSA Precheck on your boarding pass you can bring a child through the TSA Precheck lines. If you have applied for any of the 4 trusted traveler programs (TSA Pre, Global Entry, NEXUS or Sentri). are flying a participating airline and have your known traveler number in your profile you will get TSA Pre on your boarding pass most of the time. Global Entry gets all benefits of TSA Pre. For me it would be much more difficult to get to a GE enrollment center. Having to travel to NYC or Boston. I can easily drive to two places in less than a half hour in CT to get TSA Pre. I have had a Global Entry for a number of years and used it for TSApre in most locations without a problem. I just went through Dallas Love Field using Global Entry and was told that I still had to go through with shoes off and scan. When I questioned it I was told if the boarding pass does not have TSApre printed on it you still had to go through regular scans, although through the “expedited” line. Makes, no sense and the only time it has ever happened. Was the TSA worker not properly trained or is there something I’m missing? There is no absolutely guaranteed TSA pre-check (even if you pay for it) because they incorporate random security measures – for example they have to take a certain percentage of TSA pre-check eligible people each day and randomly perform a regular screening on them, although they can do it in an expedited manner (which is what sounds like happened to you). It also is not available with every airline but the screener was correct if it is not printed on your boarding pass you are not eligible for that flight. One reason is that your name in airline reservation must match exactly with your Tsa precheck application. Ex if you use middle name in your precheck application but not in your airline reservation then you are not going to get the pre on your boarding pass. Don’t forget the Nexus option. It’s only useful if you live near the Canadian border where the registration offices are. BUT, Nexus is only $50 for 5 years (half of GE) and includes ALL benefits of GE and TSAPC. Random question, that I figure I’ll have to reach out direct to TSAPC for – Since an appointment for Global Entry takes MONTHS, does anyone know if there is a way that I can get TSAPC for the time being and then pay the difference when my Global Entry interview comes up? Or any other type of credit/refund seeing as I’ll be paying for TSAPC and then paying for GE 4 months later. Unfortunately you cannot do that. If you apply for Global Entry you have to pay the $100 fee even if you have TSA Pre. Keep checking the website for availability-people cancel so appointments can open up. What dies it cost for global entry if I already have TSA precheck? There is an $100 application fee for Global Entry regardless of whether you have TSA Precheck or not. Be aware that at major airports like LAX that the wait time for an interview is often 6 months away. My husband and I are applying for Global Entery. We live in Florida near Orlando/Tampa. I’m guessing we can do the interviews at the same time? I’m hoping out interview is not 6 months out, as we have an flight in Aug to San Juan. Hi Kimberly, Sorry for the late response. We had our interview at the same so probably should be OK. We just scheduled back to back appointments but they took us together. Not sure how long how far ahead interviews are booked -it varies for each enrollment center. I would book the best date you can find and if it is too far out keep checking daily for cancellations and you can work your way to an earlier date. How do I register my GOES number with Southwest Air or ANZ or UAL to get the expedited security processing? I can’t find a field in my profile. You might have to keep digging a bit but there will be a place to add it on your online profile under “known traveler number”. For Southwest I found it easily under my profile. For United I had to look for it a bit to find it: when you are in your profile click on “edit traveler” and you should see the spot. Air New Zealand is not a participating airline so there is probably not a place to add it. Hope this helps. Several years ago I was selected into the TSA precheck program and I have been through TSA precheck gates many times since then. Now are they requiring everyone to register and pay $85 for 5 years, even for those like myself who have been travelling TSA precheck for years? Yes. You were selected in a pilot program when TSA Pre was being tested. TSA Pre is now a widely established program, and requires registration. Without having TSA Pre, you can still be nominated by your airline to have access to TSA Pre check-in by the notation on your boarding pass, but it is soley at the discretion of the airline. Yet, when I asked the clerk at the airline desk why I didn’t have tsa/precheck this time, although I’ve had it for free every other time for the last 6 years or so (including the flight out a few days before), SHE said the airline had nothing to do with – that it was solely at the discretion of the TSA! Can you apply for TSA initially, get approved, then later (a year or more later) apply for Global Entry later? I don’t travel internationally (from the US) right now but in the next 2-3 years I will. Currently I travel domestically (US) about once per month, sometimes twice per month. What do you suggest? Hi Jackie, You could do that if you wanted to but it is not a great option because you would have to pay both the TSA Precheck fee ($85) and Global Entry fee ($100) as well as complete 2 applications and 2 interviews. It sounds like right now you just need TSA Precheck but you will need Global Entry in a few years. 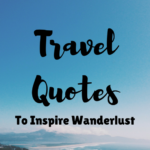 How often do you anticipate traveling internationally in the next 2-3 years? 1) Apply for Global Entry from now. Even though you won’t use Global Entry right away, it is only $15 more than TSA Precheck and you will use it eventually. It is easier to renew Global Entry rather than apply for TSA Precheck and then apply for Global Entry. 2) Apply for TSA Precheck now and forget about Global Entry. If you plan to only travel once or twice a year internationally, it might not be that big of a deal if you don’t have Global Entry. You could always use the free Mobile Passport App when coming into the US. 3) Apply for TSA Precheck now and apply for Global Entry in 5 years when TSA Precheck expires. I don’t love this option because you have to apply for a different program rather than renewing. Renewing is much easier and you don’t always need an interview. I have TSA, can you tell me if I apply for Global entry will I have still pay the $100.00 or just the difference. Hi Cynthia, Unfortunately you would have to pay the entire $100. Personally I would wait to apply when your TSA Precheck expires. In the meantime, I recommend trying the Mobile Passport app https://mobilepassport.us/. So does NEXUS only include Global Entry if you’re coming from Canada, or does it really include all of it? It’s really going back and forth between the US and UK that I want it for, but I live close to the border, so using the fast lanes between WA and BC would have its advantages. Is there any disadvantage to picking NEXUS in this case? (Does it also last 5 years…?) Thanks for your help!